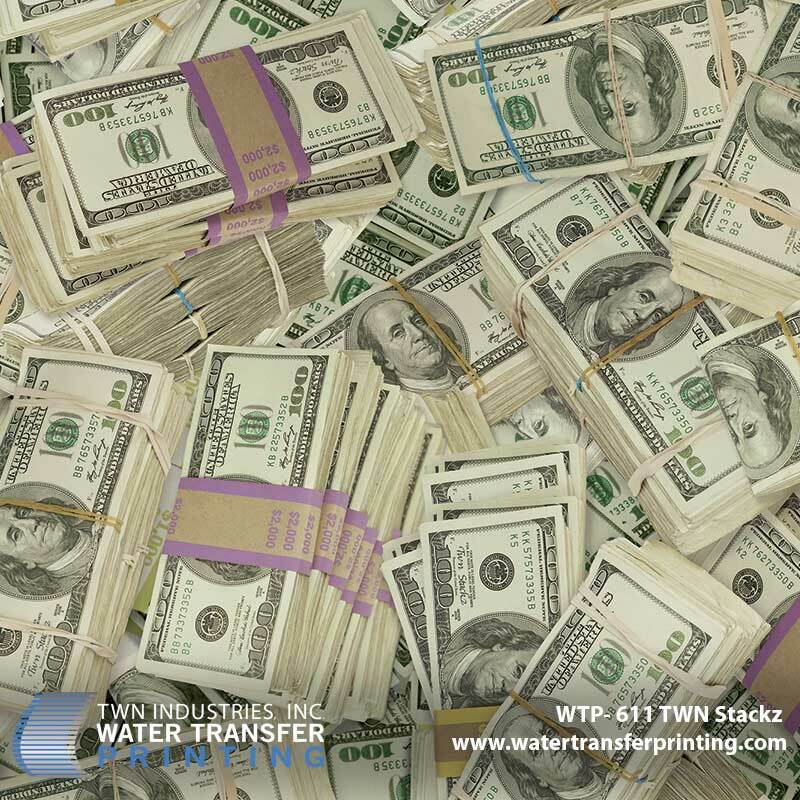 TWN Industries, the leading water transfer printing supplier, releases new hundred dollar bill hydrographic film. The new pattern, TWN Stackz, is a remake of TWN’s original Hundred Dollar Bill film that was featured on an American Chopper episode. The popular reality based television series used the water transfer printing process to apply a “hundred-dollar bill” graphic image to the motorcycle being custom built for an Orange County Chopper customer. Striving towards excellence, TWN owner and founder Jerry Metallo, led the graphics team to create and print a new version with multi directional bills and wrapped stacks. 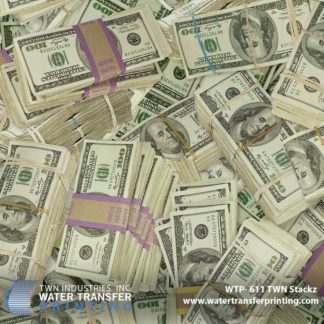 TWN Stackz is the most realistic money pattern film on the market. To order WTP-611 Stackz hydrographic film or to find a TWN Certified Processor to decorate products for you call 305-258-9622.